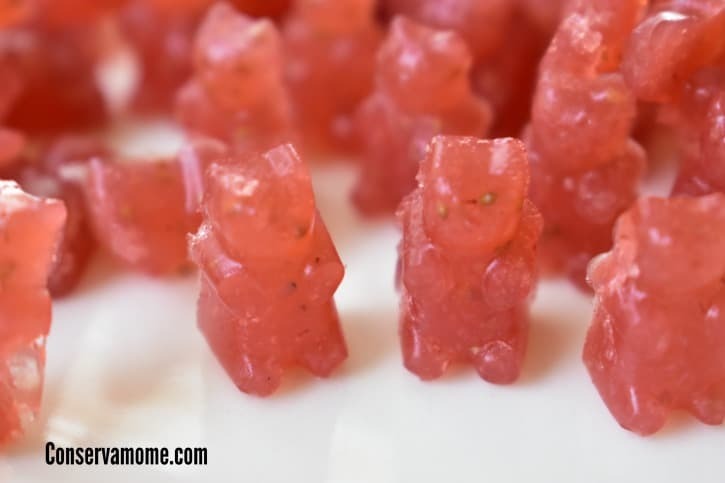 Here’s a fun and easy Homemade Gummy Bears recipe you can make for your kids that only has 4 ingredients. Best of all they’re delicious! Best of all, You only need 4 Ingredients! How easy is that? Give your kids delicious candy without worrying about all the yucky preservatives you’ll find in store bought brands. To Begin Puree the Strawberries. 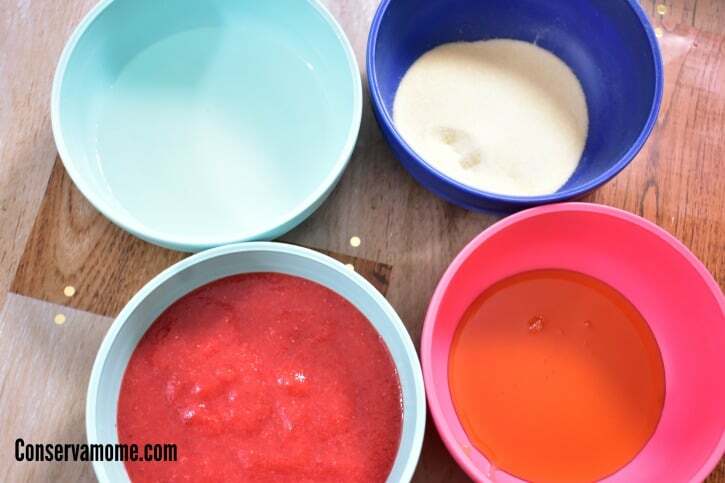 You will need about 2/3 Cup of pureed strawberries so about a cup and half of strawberries give or take. 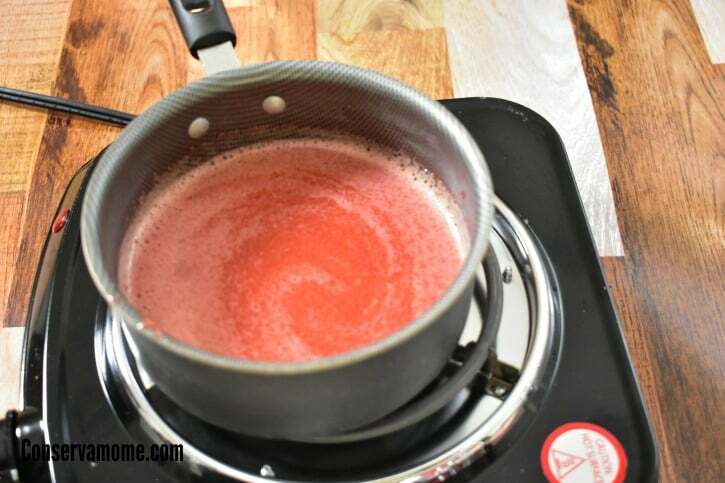 Then over a medium burner heat together strawberries, water, and honey. Mix thoroughly. Then slowly add the Unflavored Gelatin. Although the easy one is Knox Unflavored Gelatin which you can find at any store. However, you can find some other great brands including some that are made from grass fed cows. Continue heating over medium and mix until it forms a glassy consistency. You’ll know that the Gelatin is well mixed. Finally freeze for 30-40 minutes and pop the little guys and gals out of the mold and you have a delicious treat! Some will look prettier than others but they will all taste AMAZING! 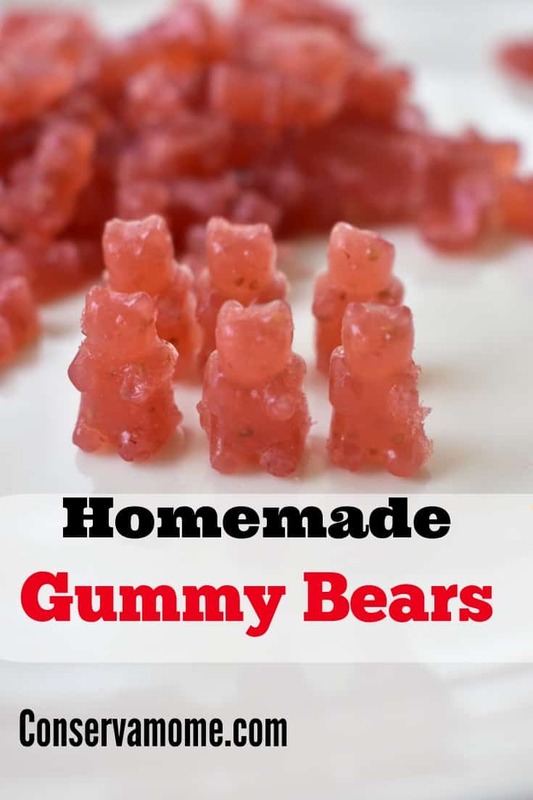 These yummy gummies can be fillers in an Easter basket. You are a genius with food creations! I had to pin this recipe too!! I love that I only need 4 ingredients and how easy it is to make these! I wonder if other fruit, besides strawberries can be used? Like blueberries? Thank you for sharing! These lok healthier than the ones you buy at the grocery store. Im going to try to make them for my grandson. What a great recipe. 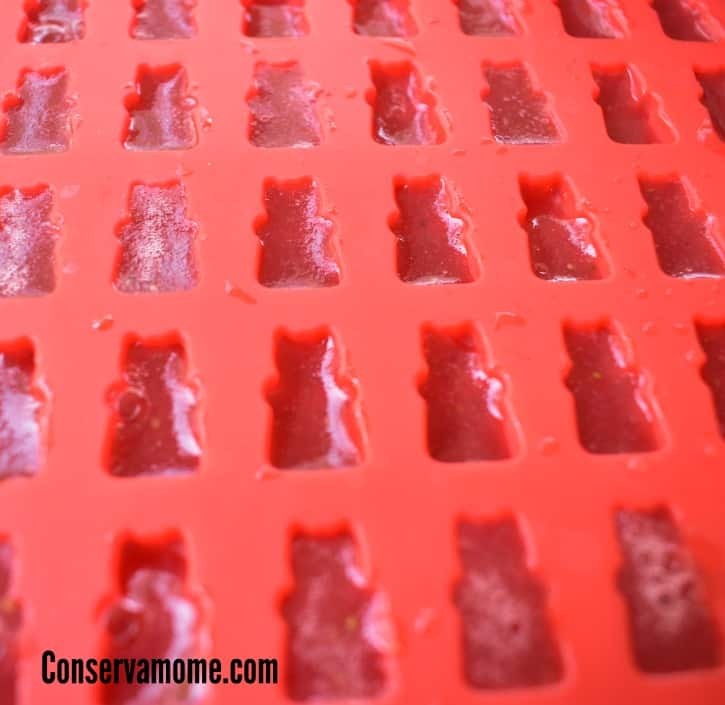 The family loves gummies and this will fun and useful too. Super easy! I don’t have a mold for the bears, but I could make seashells! So easy to make and look good! will have to try them out with great nephews and niece. Yummo!! I second the ew factor of store bought snack ingredients!! I would love to make my own!! Thanks for the awesome recipe!